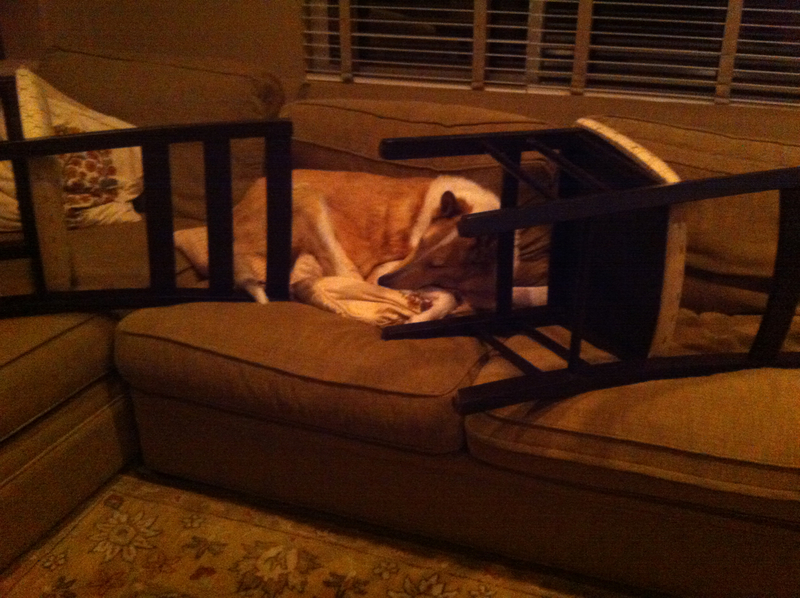 We’ve been trying to break our dog’s habit of sleeping on the sofa at night. 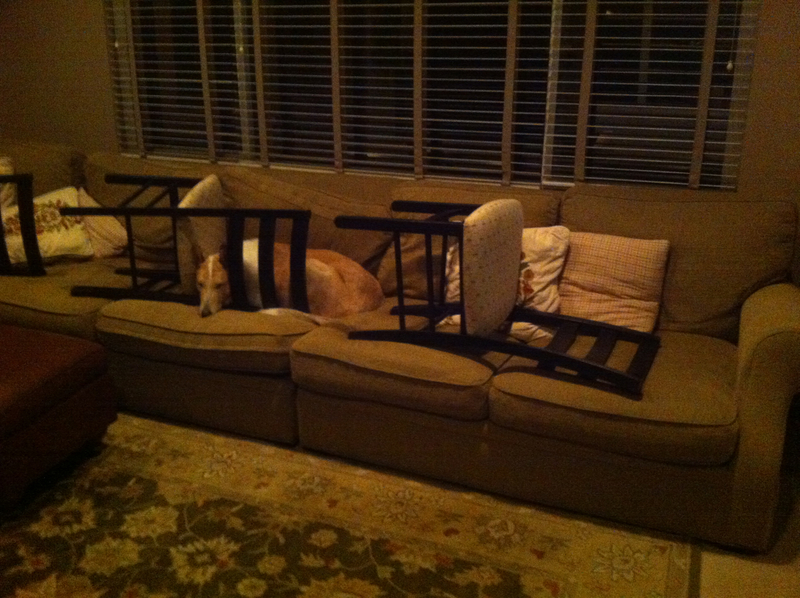 We started putting chairs on it to keep Joey from climbing up on the sofa. The first night, it worked, but then look what happened the last two nights. He’s too smart!